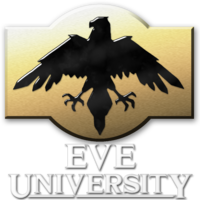 The UniWiki is a public resource provided by EVE University to provide information about EVE Online. All the content is available under a Creative Commons license, which means you are free to share and adapt it. We just ask that you give appropriate credit to the UniWiki. Everyone is welcome to contribute to the UniWiki! To begin editing, you will need to create an EVE University forum account—simply follow the instructions through step 4 on the linked page (there is no need to actually complete an application). You can learn about editing the UniWiki on our Wiki How To Guide, or view a long list of ways editors of all skill levels can contribute on our To Do List. This page was last modified on 21 November 2018, at 10:21. This page has been accessed 5,233,299 times.